I finished this up last week. I think I can safely say it's the biggest thing I've ever tatted! 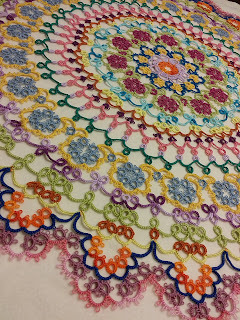 As you can see I used various colors, all size 10 thread. It measures about 30 inches in diameter. Tatted doily. 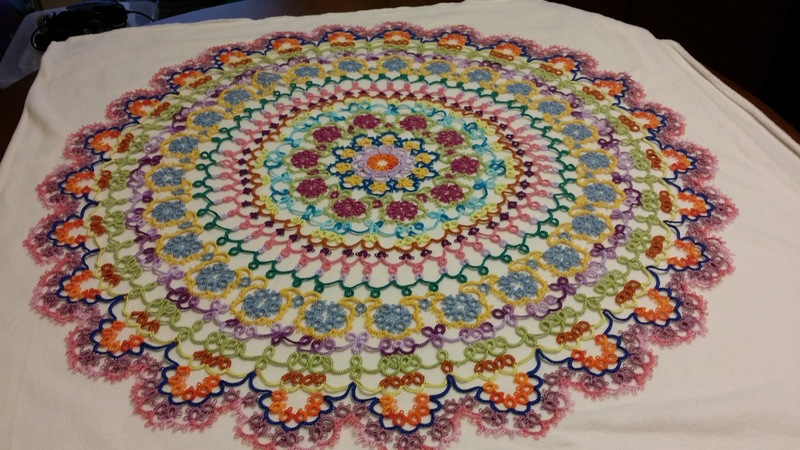 A wedding gift for my niece. Updates on some projects I've been working on are coming, but for now here's are new look! Is it Spring yet??? 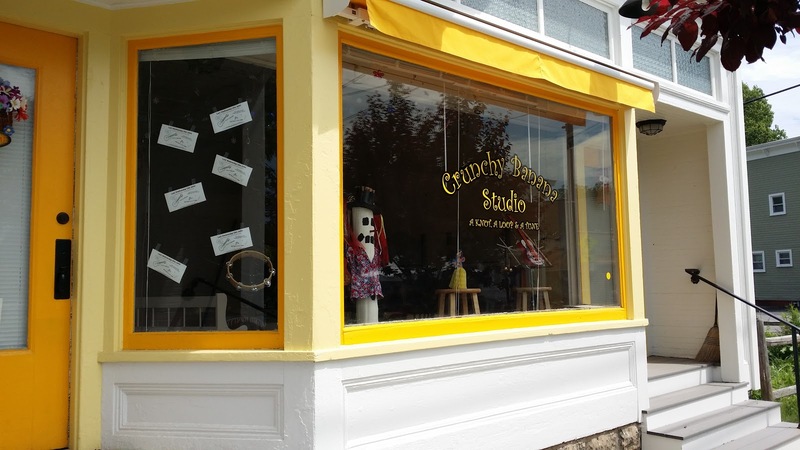 Even if it's not... come to the uke jam - Wednesday, April 29 - 7-9 pm at Crunchy Banana. 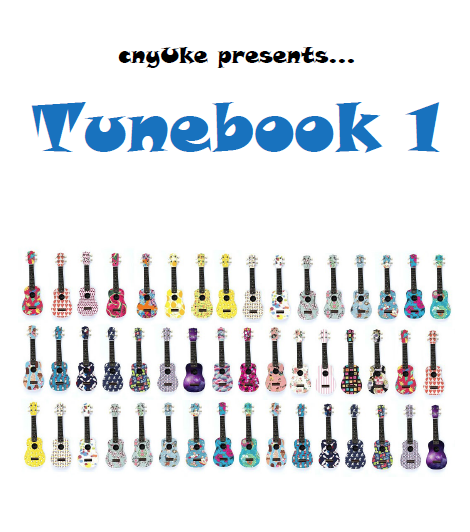 Grab a copy of cnyUke Tunebook 2 too! Got a uke for Christmas? 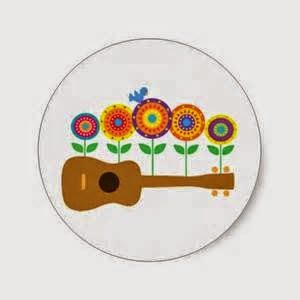 Come join us on the last Wednesday of January for a super easy tunes uke jam! All of the tunes have three chords or less. You can download the tunebook below. 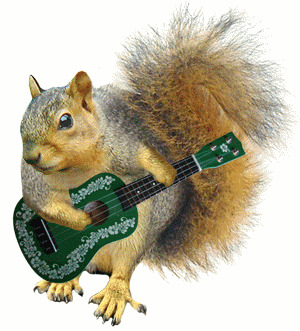 So easy a squirrel can play !